Are you a new entrant to the MLM sector? Well, then here are some of the top network marketing success stories, to give you some motivation! These stories will not only benefit the beginners but also the professional MLM business people out there! 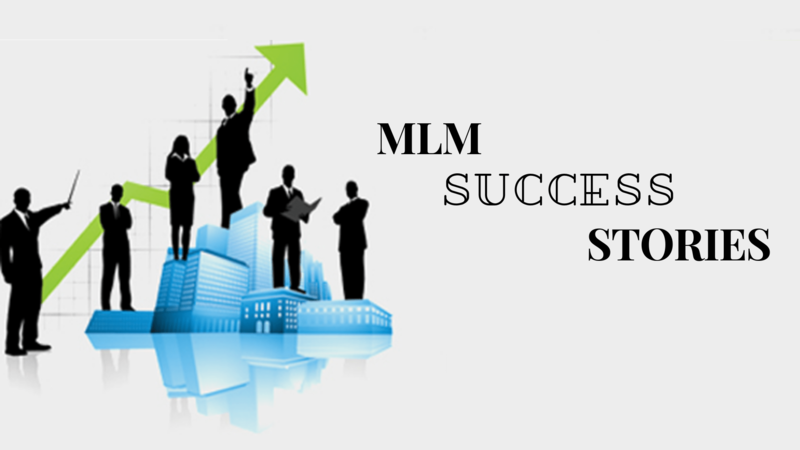 In the MLM success stories mentioned here, most of them had the help of an MLM Software for organizing their business. Some of them have retired at a young age. The others are still around to motivate the upcoming generation with their coaching services. And a minor few are still doing what they do best, selling products and recruiting others. Sarah Robbins was basically a teacher before she entered the MLM sector. She was afraid of losing her job in a shaky economy during that time. And as a source of additional income, she joined the network marketing business by selling Rodan and Fields products. And soon she began to earn more than her teaching salary and left her career of teaching behind. Before turning 30 years old, she was making six figures each month from the MLM sector. Rodan + Fields inducted her into the Hall Of Fame as an independent business owner. She was also the first one to reach the Million Dollar Circle. She is still a part of the company as being a top MLM consultant. Eric Worre has been active in the network marketing field for more than 30 years. it is estimated he has earned nearly $15 million during this tenure. During his 30 years long career, he worked as a distributor, President and finally President of his own business, The People’s Network. He is retired now from the MLM business and now focuses his efforts on coaching others and helping them to achieve network marketing success. So he started Network Marketing Pro and delivers live presentations to thousands of people regularly. Eric also wrote a book named “Go Pro – 7 Steps to Becoming a Network Marketing Professional” in the year 2013. It has been sold more than 1.5 million copies and was one among the Amazon’s list of 6 best sellers! Ray Higdon lost a lot of his finances in the real estate crash in the year 2008.According to his biography, he entered into the real estate business in the year 2004, in Florida. He made a lot of money during his career in the real estate sector but lost it all in the crash in 2008. His turning point in life began when he joined Numis. By February 2011, he had broken earning records with the company and made almost $ 46000 in a single month. He is officially retired and now spends much of his time offering advice and tips to help others succeed in network marketing. Another exciting thing is that he is now married to Jessica Higdon, another MLM leader that we have now. Jessica Higdon too has a success story of hers in the MLM sector, although she is married to Ray Higdon. She started out initially with Ray Higdon on the Numis network. But the sold their upline in 2016 and moved onto other projects. Jessica is working on her own project right now. She is now about to launch a program that will help people get a massive number of leads and recruits on Facebook. She has already created some videos and other materials on the topic on her website. Donna Johnson is a person who started from absolute zero. She doesn’t have a college degree. And she was a single mom who was working as a swimming coach. Yet, she managed to attain the top position among the prominent network marketing leaders we have presently. The only reason behind her success is the pure dedication and hard work. She earns now more than $1 million per year! She is also a leader of one of the top network marketing companies, Arbonne. Apart from earning a lot from the MLM field, she is also committed to giving back to society. For instance, she donates regularly to Streams of Mercy, a charity organization, which helps the orphans around the world. Also, she runs a bed and breakfast in Jamaica. These are the MLM success stories of the selected few people. But there are many more. Achieving success in the MLM business is not rocket science. The only thing you need to do is to work really hard and opt for the best MLM company for your career. Also, try to get maximum information from really experienced people in the MLM industry, through various means like in person, through videos, blogs, tutorials etc. Are you also dreaming to make it big in the MLM or network marketing business, as the above mentioned successful MLM business persons did? Also, Read about the Richest person in MLM and Top MLM Earners In The World.